It's been a very busy few months! 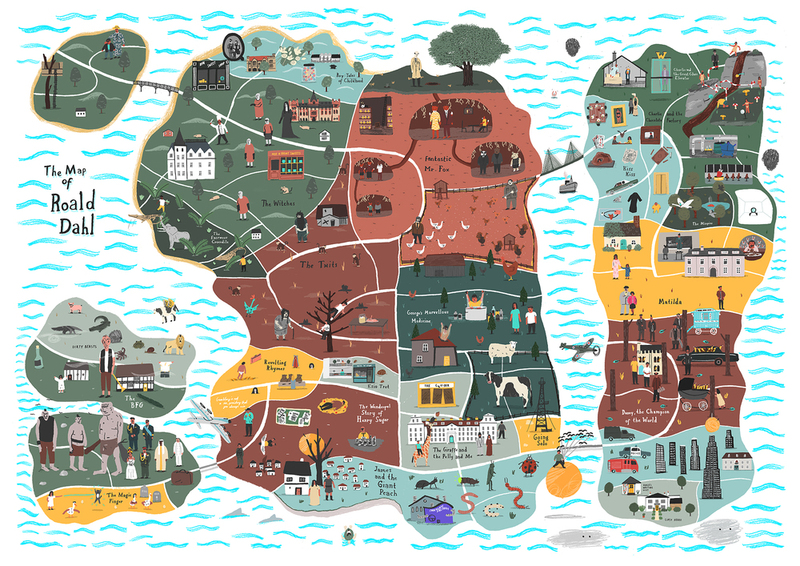 As well as working on area maps for weddings and house portraits, I have recently finished my biggest project to date. The Roald Dahl Literary Estate commissioned me to make A Chocolate Timeline featuring an illustrated history of chocolate making based on a section in Roald's Chocolate Cookbook. 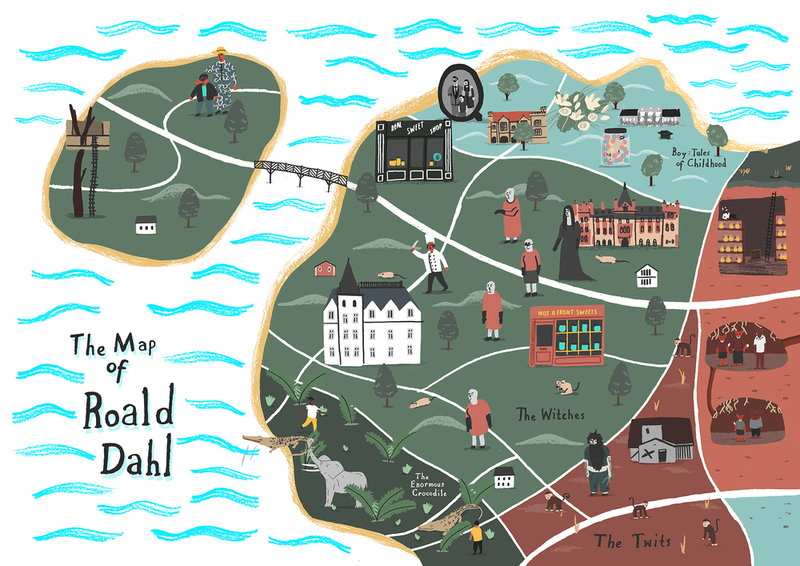 The most abitious part though is the map, the brief was to imagine Roald's world featuring all his stories and character in a large map. The map ended up being in four sections, each measuring 59.4 x 89.1 cm, to all come together as one giant map in four framed quarters.